20-21 November, ministers from the 20 ESA member states met in Naples to chart the agency’s course for the years ahead. France will contribute €2.2 billion in funding for 2013-2017, confirming its driving role alongside Germany. 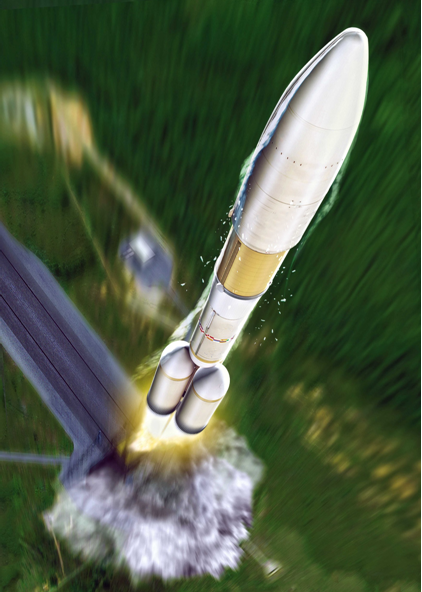 Ministers gave the go-ahead for Ariane 6 detailed definition studies. Credits: CNES 2012. In the domain of launchers, ministers approved development of an adapted Ariane 5 ME (Mid-Life Evolution), a more powerful version of the vehicle to replace the current Ariane 5 by 2017-2018. Allocated funding also covers detailed definition studies for the future Ariane 6 launcher and development of a common upper stage for the adapted Ariane 5 ME and Ariane 6. France will provide nearly 50% of the total budget envelope, the largest French contribution agreed at this ministerial meeting, thus confirming that access to space is a priority for France. For the International Space Station (ISS), ministers agreed on a budget of more than €1 billion, of which France will contribute €275 million. ESA’s contribution to shared ISS operating costs for 2017-2020 will be made in kind by developing the service module for NASA’s Orion Multipurpose Crew Vehicle (MPCV), thus pursuing cooperation between the two agencies and their international partners Russia, Japan and Canada. Orion will supply water, oxygen and electricity to the station crew as well as providing in-orbit propulsion. 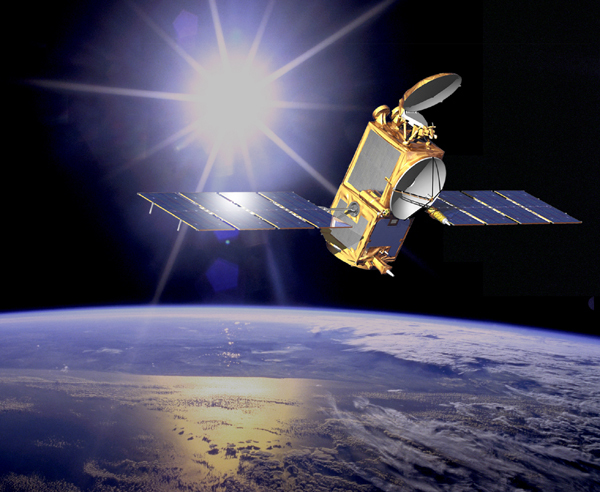 Artist’s view of the Jason-2 satellite, in orbit since 2008. Credits: CNES/NASA. Thanks to major contributions from France and Germany (27% each), the 2nd generation of MetOp non-synchronous Earth weather satellites was confirmed, assuring continuity of service beyond 2020. These satellites provide the capability to monitor many atmospheric variables needed to forecast weather and keep track of climate variations. For the Global Monitoring for Environment and Security programme (GMES), funding was secured in Naples for the phase that will advance definition of the next generation of atmospheric monitoring instruments. This phase will also move forward on defining the new generation of Jason ocean-observing satellites. Lastly, the Earth Observation Envelope Programme (EOEP) dedicated to Earth sciences secured almost €1 billion, of which France will contribute some 16%. Several decisions were also reached on telecommunications and satellite navigation to boost Europe’s competitiveness in these highly promising sectors. The Neosat programme proposed by France to develop a new-generation platform (NGP) for telecommunications satellites was enthusiastically received by its European partners.